Whether you are five years old or 50, there is something about ice cream that is timeless. Some among us are minimalists, opting for a simple scoop without any frills. Others enjoy the decadence of multiple toppings heaped together. 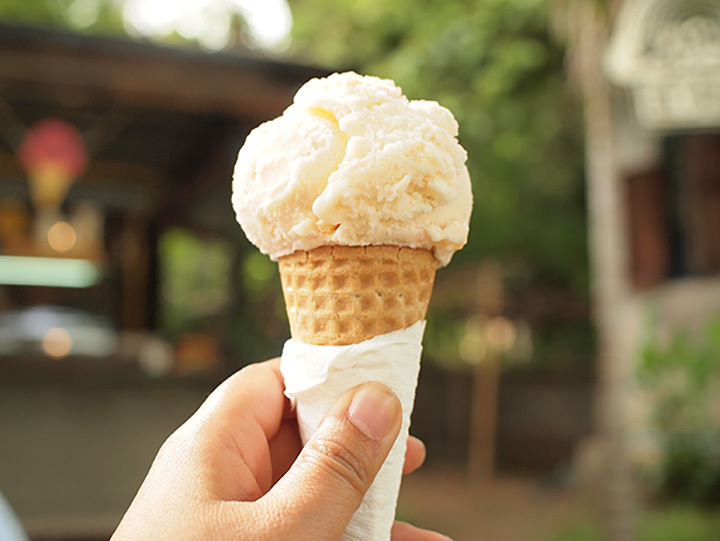 Regardless of where you fall on the spectrum, a visit to one of the following ice cream parlors in North Dakota will give you exactly what you are craving. Named home to the best ice cream in North Dakota by USA Today, Pride Dairy is the state’s last creamery. Home to delicious dairy products since the 1920s, the company prides itself on producing the out-of-this-world ice cream, malts, shakes, caramels, cheeses, and syrups. Pride Dairy also offers a full lunch menu. A pharmacy is home to some of the best ice cream in North Dakota? You bet if you are in Shanley. The Whirl-a-Whip Ice Cream fountain will transport you back to a time when life was simpler and ice cream made everything better. Scoopz has quickly made a name for itself thanks to its delicious menu and down-home atmosphere. In addition to a wide variety of hand-scooped ice cream options, Scoopz also specializes in fresh hamburgers and deli-style sandwiches. In addition to being home to delicious ice cream, Sweets ‘N Stories is also an espresso bar, bookstore, and eatery. All menu items are homemade and served with the tender loving care that can only be found in a small-town mom-and-pop shop. Looking for soft-serve ice cream that will spoil your taste buds for all other ice cream? Then I Scream U Scream is the place for you. In addition to scrumptious ice cream, the restaurant also serves everything from burgers and hot dogs to fry bread and tacos. Home to “The tastiest eats and the yummiest treats,” you’ll find more than just ice cream in Bowman, although that is the star of the show. And this isn’t just any ice cream, either. Try a hot fudge brownie sundae or a coconut cream tornado. Yummiest treats indeed. Family friendly Medora is a top tourist destination throughout the year, but many may be unaware of its place in the ice cream world as well. Marquis de Mores Ice Cream Parlor provides guests with a unique experience that combines Medora mystique with ice cream magic. The last ice cream spot before heading south into South Dakota, Dairy Delight is worth the stop. Known for its thick malts and scrumptious shakes, the restaurant also serves a wide variety of lunch and dinner items. Don’t leave without dessert, however. Located inside the West Acres shopping mall, Coolbird Creamery is one part science is many parts delicious. Their ice cream is made by combining the requested flavors and then blasting the concoction with liquid nitrogen. The result is the creamiest ice cream you will ever find. Although North Dakota certainly cannot claim Cold Stone as their own, it is some of the best ice cream in the country, nonetheless. The ice cream is made fresh daily and served on a frozen granite stone. It doesn’t get any better than that.